There is a lot that is wrong with our country. One of those blunders happens to be a tragedy called ‘Dhinchak Pooja’. We don’t really know why this anomaly exists; but, we’ve left that to the likes of Big Foot and Aliens. What we do know is that, she is the sum total of all our bad karma come to make us repent for our wrongdoings. Why else would she be everywhere on social media? And as if that weren’t bad enough, she has now entered our television boxes courtesy Bigg Boss Season 11! 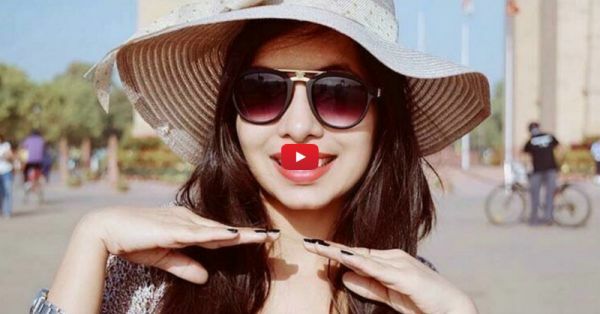 Dhinchak Pooja, a.k.a Pooja Jain entered the house on last evening’s episode and the inmates had mixed responses to her turning up; quite like some of the more sane people in our country. Pooja may have come in as a Wild Card entry on the show. However, the audition tape she sent in for Bigg Boss Season 11 is making us question whether or not the people running the show have lost all sense of taste and civility. Here, take a look at the video of her so-called audition and decide for yourself.